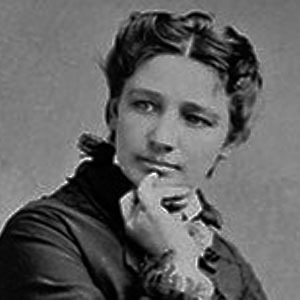 The Eloquent Woman: Famous Speech Friday: Victoria Woodhull's "Principles of Social Freedom"
Famous Speech Friday: Victoria Woodhull's "Principles of Social Freedom"
Victoria Woodhull led a fascinating life, without a doubt. Her father, a snake oil salesman in the 1840s, soon put his young daughter to work as a fortune teller. She married an alcoholic at age 14 or 15--a devastating experience that probably fueled her later thoughts on marriage. Victoria and her sister Tennessee became the first woman stockbrokers on Wall Street, after a stint as spiritual advisers to Cornelius Vanderbilt. The sisters also were the first women to found a newspaper in the U.S., and Victoria was the first woman to campaign for president--50 years before women could vote. Woodhull is perhaps best known for her "free love" views, which scandalized her Victorian audience but seem fairly tame by today's standards. Women, she said, should be just as free as men to choose and discard their sexual partners. Between this and her insistence that she could speak with the dead, it's no wonder that Gloria Steinem once called Woodhull "the most controversial suffragist of them all." Juicy stuff, so why did it feel like a chore for me to dig into her most famous speech? To love is a right higher than constitutions or laws. It is a right which constitutions and laws can neither give nor take, and with which they have nothing whatever to do, since in its very nature it is forever independent of both constitutions and laws, and exists--comes and goes--in spite of them. Governments might just as well assume to determine how people shall exercise their right to think or to say that they shall not think at all, as to assume to determine that they shall not love, or how they may love, or that they shall love. But then I read the background to this speech in Barbara Goldsmith's terrific Other Powers: The Age of Suffrage, Spiritualism and the Scandalous Victoria Woodhull. And suddenly it all came to life for me. Here's what happened, and here's what you can learn from it. A good introduction goes a long way. Woodhull was a confidante of Henry Ward Beecher, one of the most prominent ministers and social reformers of the day. She knew that the married Beecher had many lovers, and privately encouraged him to come forward in support of the free love doctrine. Beecher was supposed to introduce Woodhull at Steinway Hall, but lost his nerve and didn't show, fearing for his reputation (You can read more about Beecher's fate here). There was a restless delay as Woodhull and her friends waited for someone to introduce her, and Goldsmith says this may have rattled her from the start. Plan to be spontaneous. Woodhull stuck to her prepared remarks for the first part of the speech, but she surprisingly abandoned the text when she began talking about sexual freedom and women's rights. Her words became more emotional and more pointed, and the historical accounts say that the crowd loved it, cheering and rising to their feet. But departing from her text may have made it more difficult for her to control the speech after what happened next. "Yes, I am a free lover! I have an inalienable, constitutional and natural right to love whom I may, to love as long or as short a period as I can, to change that love every day if I please, and with that right neither you nor any law you can frame have any right to interfere." Yes, it's long. But grab a cup of coffee, and read through to the end. I promise you won't be disappointed.